Learning Heroes: Epic or Fail? Learning Heroes is a free website aimed at helping parents navigate the confusing and ever-changing waters of their kids’ K-12 educations. With quizzes, videos, and plenty of resources, it answers questions about what kids should be learning and what life skills they can expect to develop at different grade levels. Glows: Learning Heroes gives parents a solid overview of what kids should be learning in each grade, and also helps evaluate kids for areas of struggle, including life skill areas. It answers questions that parents may not have time/desire to ask teachers and it gives them a language to use when talking with teachers about concerns. The site is also available in Spanish, making it a potential resource for families who can’t easily communicate with teachers due to a language barrier. Grows: While there is a rich trove of information, Learning Heroes lacks a clear path for navigation. Instead, the resources are grouped in a few categories with no overall guidance on which tools to use in which situations or even where to begin. There is also some overlap between the sections making navigation disjointed. Additional language offerings would help reach more families. Bottom Line: Learning Heroes has a lot of useful information for parents who are committed to being active in their kids’ education, but the lack of flow may be a turn-off, especially for parents who are already intimidated by the educational system. Cutesy titles on some tools do nothing to help clarity and navigation. Many of the resources are links off-site to partners like Scholastic and GreatSchools. This site requires some patience to find the true gems of content, but they definitely exist. 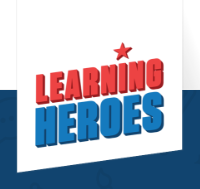 Learning Heroes launched in 2015 as a national public service partnership between familiar parent and educational organizations such as the National PTA, America’s Promise Alliance, Common Sense Media, GreatSchools, and Scholastic. With the intention of helping parents become “learning heroes” in their own kids’ educations, the partnership brings together a range of tools and resources for parents and kids. The site is available in English and Spanish. What Kinds of Resources Are Available for Parents? One of the biggest concerns parents have for kids right now is standardized testing. It’s controversial to begin with, but it can also place a lot of stress on kids who aren’t confident test-takers. 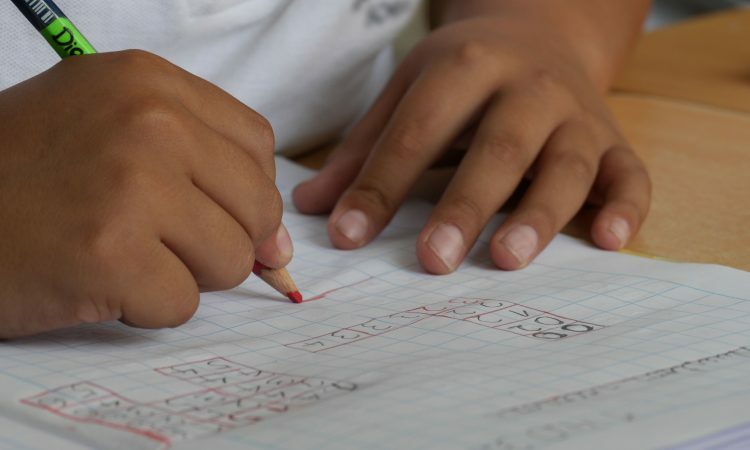 Learning Heroes explains two of the big standardized test initiatives (PARCC and Smarter Balanced tests) and then provides links to resources that explain grade-by-grade expectations. There are also links to practice tests for parents who want to help their kids prepare. Another area that worries some parents is the infamous “summer slide.” Learning Heroes helps parents stop summer slide with suggested activities and links to games, videos, worksheets, and other tools. A “3-Step Plan” asks parents questions about their child’s strengths and areas of concern and then assembles a document that parents can use when heading into the new school year and meeting new teaching teams. If parents are looking for activities to help their kids avoid summer slide and/or get a head start on the new school year, Learning Heroes has tools for that as well. Kids can take 5-question quizzes that cover grade-appropriate material that they should already know. These quizzes help identify places where kids could use a refresher or content missed entirely from the previous year. Parents might choose to make use of suggested practice games or worksheets, or pass the information along to the kids’ teachers. What Resources Are Available for Kids? While most of the Learning Heroes site is geared toward parents, there are also resources specifically geared toward kids. Kids enter in their current grade and choose to see math or reading resources. They’ll get a list of web pages, games, and videos that area matched to Common Core standards for their grade. 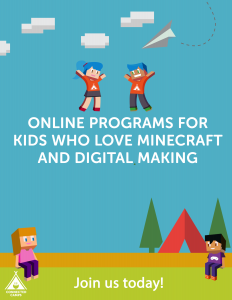 Partner sites include IXL, Khan Academy, PBS Learning, Time for Kids, BrainPOP and others that are likely already familiar to many kids through their schools. Learning Heroes doesn’t focus solely on classroom education. There is also an emphasis on emotional and life skills. The Character Strength Finder, as an example, invites kids and parents to sit down separately and answer a set of questions around the child’s emotional and life skills. How do they treat peers? What do they do when faced with mistakes? Do they keep working when things get hard? Parents can then use these answers as a starting place for conversations and teachable moments, but also for utilizing some of the other Learning Heroes Resources. Additional resources for parents include college planning and financial aid, a planning tool for parent-teacher conferences, how to talk to kids about their emotions, and how to handle bullying. Learning Heroes also has some reports on parenting trends and attitudes.